Collecting a rent check is just the tip of the iceberg when it comes to property management. Lincoln investors know it’s a complex job that has no set time limits either. Emergency maintenance calls can come at any time of the day or night, weekends and holidays not excluded. Bad tenants can damage your property ultimately interrupting your cash flow. Costly regulatory violations or accounting practices can happen if not carefully managed. Property management is a 24/7 job. You cannot cut corners and expect positive results. The benefits of having a professional staff of highly trained experts overseeing your property far outweigh the costs of hiring property management. 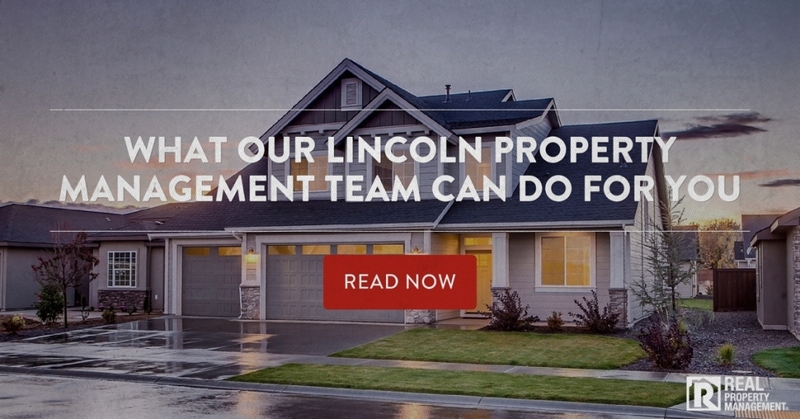 Lincoln homeowners can’t go wrong when choosing to partner with Real Property Management SAC-METRO. Our experts at Real Property Management SAC-METRO know the rental industry. We handle marketing and advertising for your rental unit. We manage showings and review tenant applications. We conduct property inspections and schedule lease signings. From start to finish, we take care of your home long before new tenants move in. Even once qualified tenants move into your rental, we continue our services. We coordinate maintenance repairs. We filter all tenant communication and complaints. We deal with collection and eviction notices when necessary. We enforce lease rules and hold tenants accountable for any unruly behavior. Most importantly, we protect your investment. We make sure you stay in compliance with all legal regulations. We properly handle all security deposits and funds according to trust accounting laws. We work hard to reduce vacancy periods. In the end, our goal is to minimize your risks and maximize your cash flow. With the help of our Lincoln property management team, you can be a successful. Real Property Management SAC-METRO understands how to better your investment business. Our goal is for homeowners to see their rental investments bring a better return. Give us a call today and see what we can do for you!